Want free advice for your decorating dilemmas? Vegetarian festival: 24 September - 02 October 2014. Who’s taking the 9-day vegetarian challenge with us? A vegetarian diet for the purposes of spiritual cleansing and merit-making. 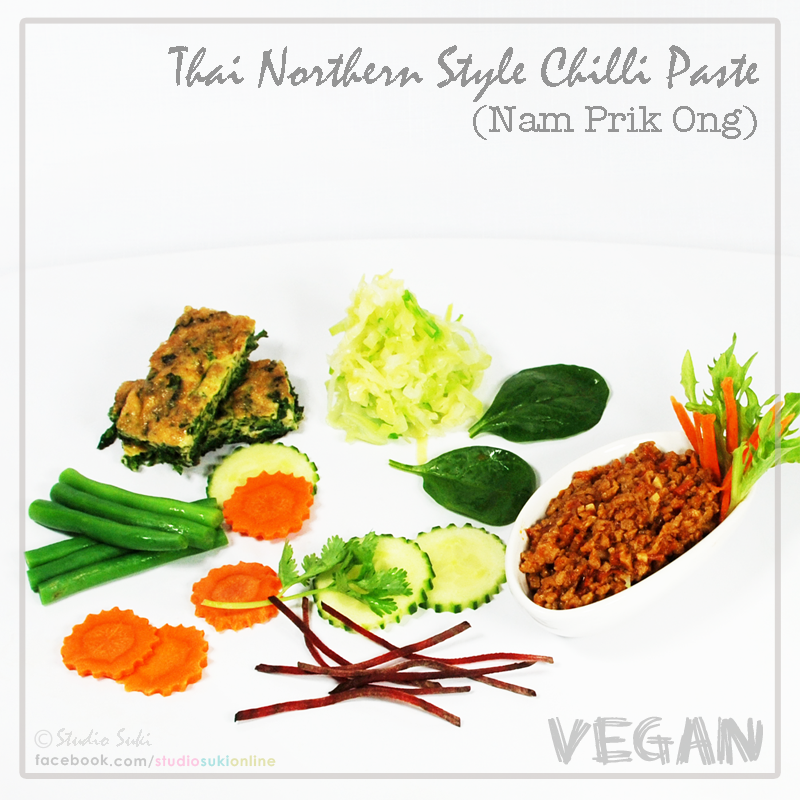 Day 2: Thai Northern Style Chilli Paste (Nam Prik Ong) - with sweet, sour and salty that can go perfectly well with fresh vegetables. It is so delicious! - Pound chili, garlic, shallots thoroughly. - Then fry finished pounded chili with oil. - Add tofu, fry well to combine. Add cut tomatoes. - Season with soy sauce, palm sugar, tamarind juice, soy bean paste and served with fresh vegetables. a cornucopia of fantabulous designs that make me go oooh! About ART that's good to eat. Feel free to link to any posts and link back to this blog, or drop me a note. Thank you for being honest.